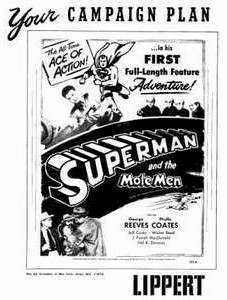 1951 - The most spectacular poster you will find on George Reeves as "Superman". Considered the quintessential actor to ever play this role. The artwork is simply stunning. 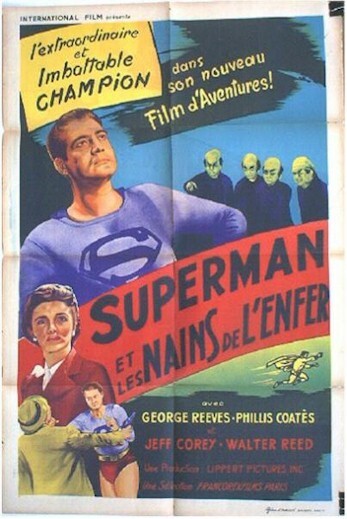 This is the French release (33x47") and the artwork is identical to the US release, except the French one sheet is slightly larger by about 5 inches each way. 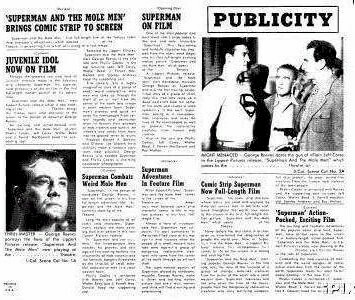 The US one sheet sold for $4370 in June of 1990. A real beauty in excellent + condition! 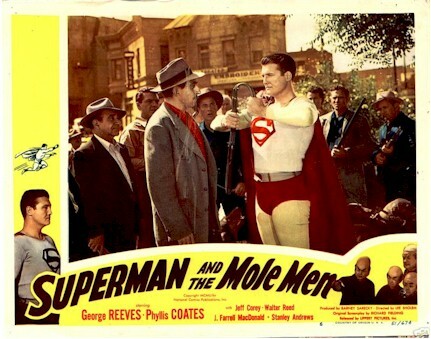 1951 - Very scarce Original US Release lobby card. it has been about 5 years since I have seen one of these appear on the market. More Rare then the original one sheets. Very good condition with some scratches over Jeff Cory image. Easily corrected with light touch up. One of the best scenes of the set with Reeves bending the gun barrel of unruly mob leader! 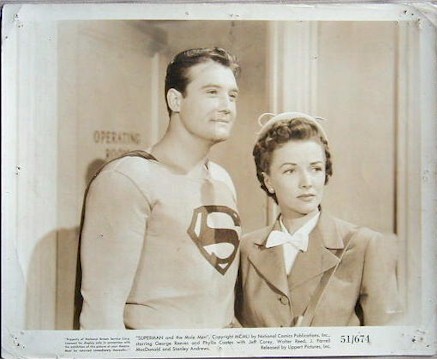 1951 - Here is a VERY RARE (the first we have ever had) Original Vintage 8x10 still from "Superman and the Mole Men" with George Reeves.